At the same time as we’re seeing breakthrough after breakthrough in artificial intelligence, we’re also seeing the fulfillment of the vision of Vannevar Bush, JCR Licklider, and Doug Engelbart that computers could augment human information retrieval and problem solving. AI turned out not to be a matter of developing better algorithms, but of having enough data. The key applications of the web combine machine learning algorithms with techniques for harnessing the collective intelligence of users as captured in massive, interlinked cloud databases. Bit by bit, this is leading us toward a new kind of global brain, in which we have met the AI, and it is us. We and our devices are its senses, our databases are its memory, its habits, and even its dreams. This global brain is still a child, but as its parents, we have a responsibility to think about how best to raise it. What should we be teaching our future augmented selves? How can we make the emerging global consciousness not only more resilient, but more moral? Tim O'Reilly is the founder and CEO of O'Reilly Media Inc. O'Reilly Media also hosts conferences on technology topics, including the O'Reilly Open Source Convention; the Web 2.0 Summit; Strata: The Business of Data; and many others. O'Reilly's Make: magazine and Maker Faire have been compared to the West Coast Computer Faire, which launched the personal computer revolution. Tim's blog, The O'Reilly Radar, "watches the alpha geeks" to determine emerging technology trends, and serves as a platform for advocacy about issues of importance to the technical community. Tim is also a partner at O'Reilly AlphaTech Ventures, O'Reilly's early-stage venture firm, and is on the board of Safari Books Online. 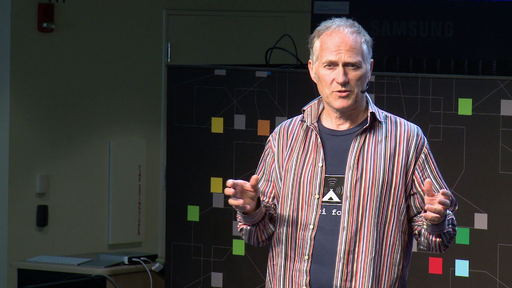 Towards a Global Brain: Tim O'Reilly in conversation with Director of Center for Civic Media Ethan Zuckerman.